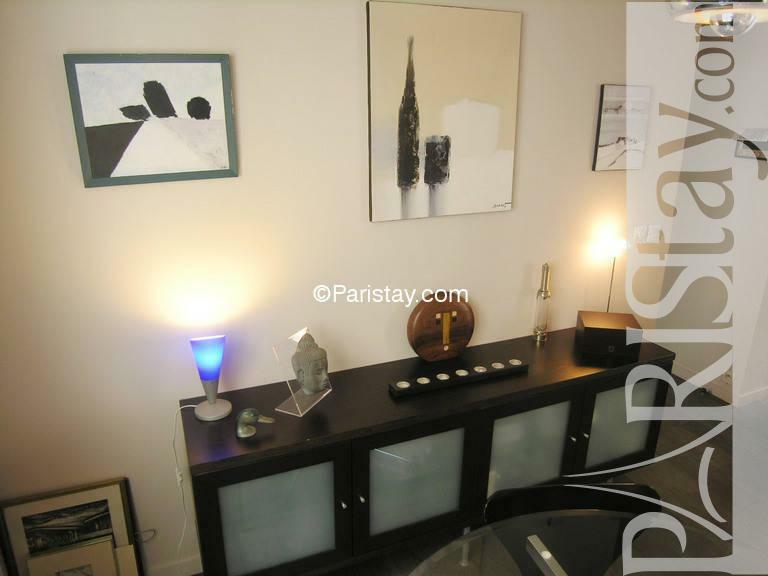 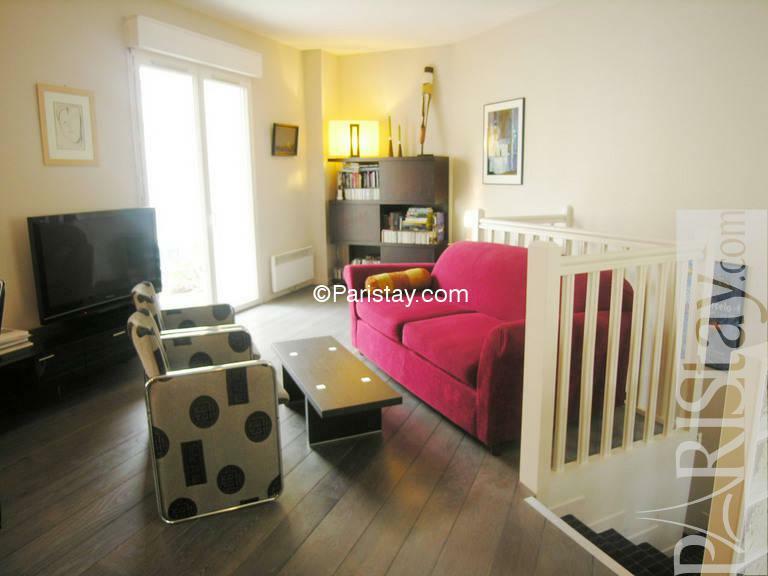 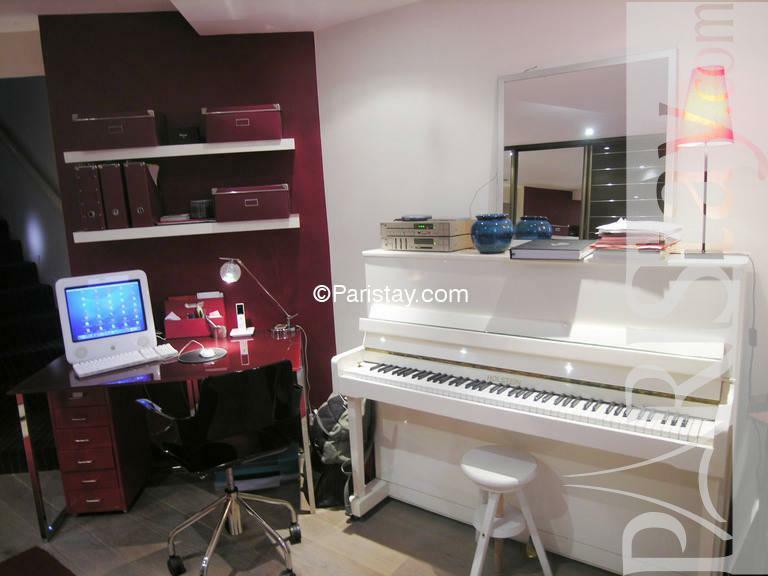 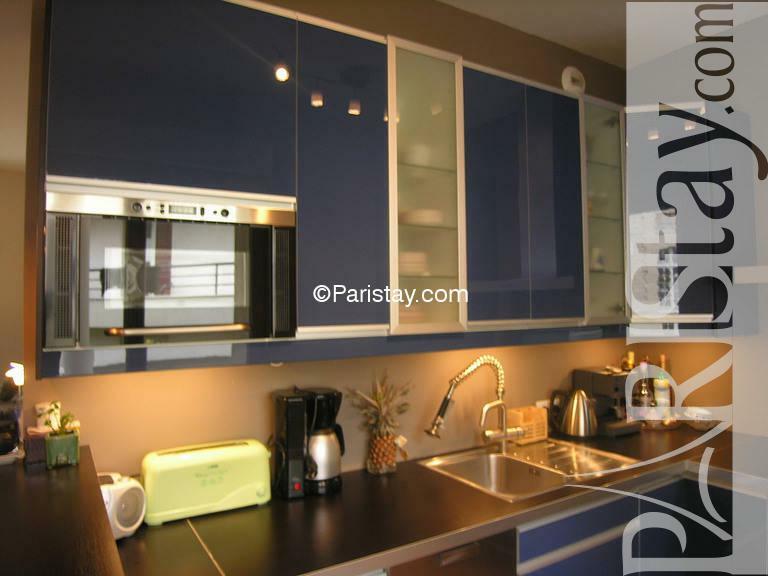 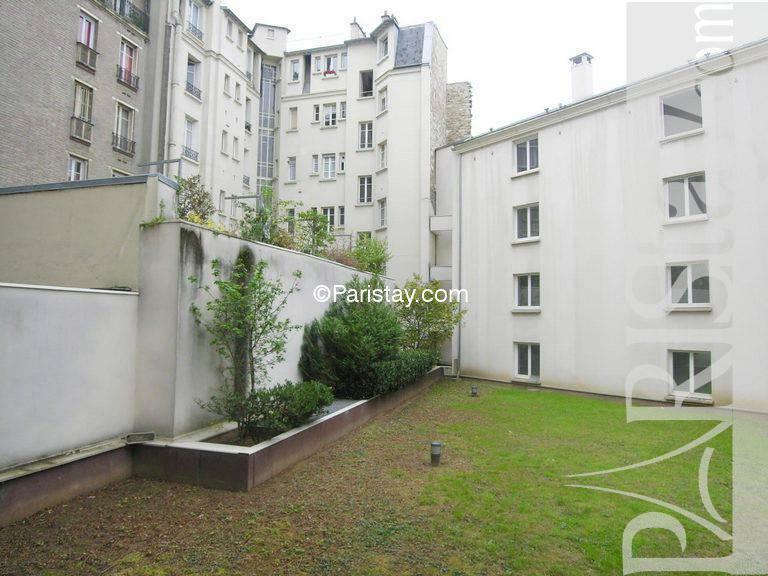 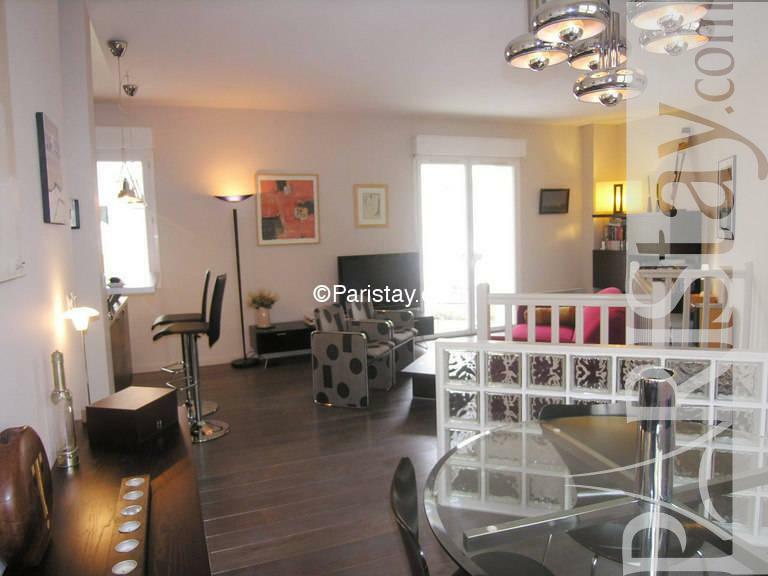 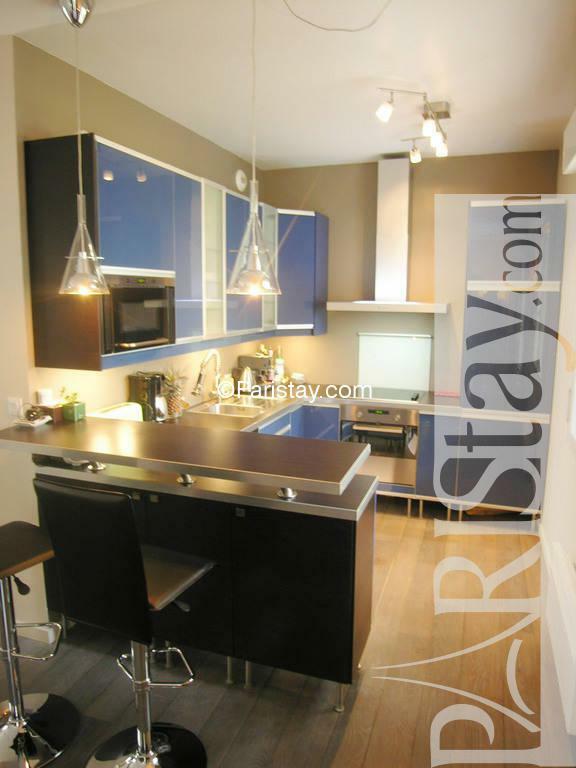 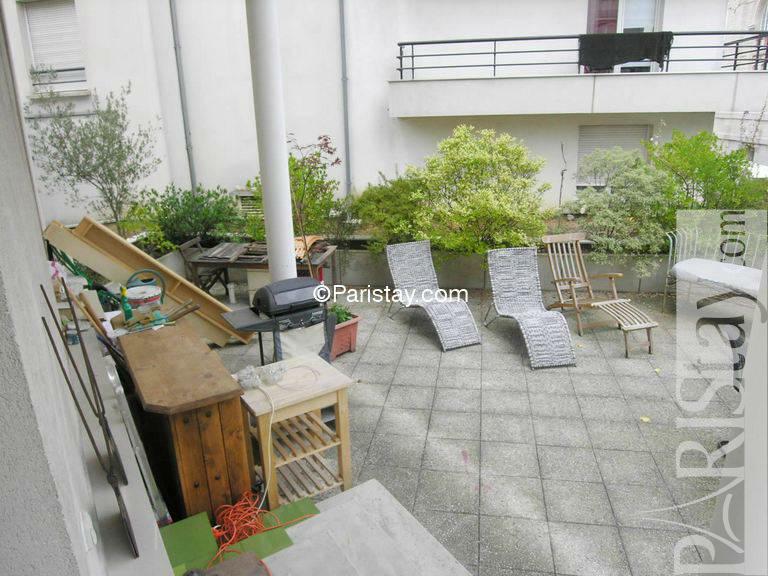 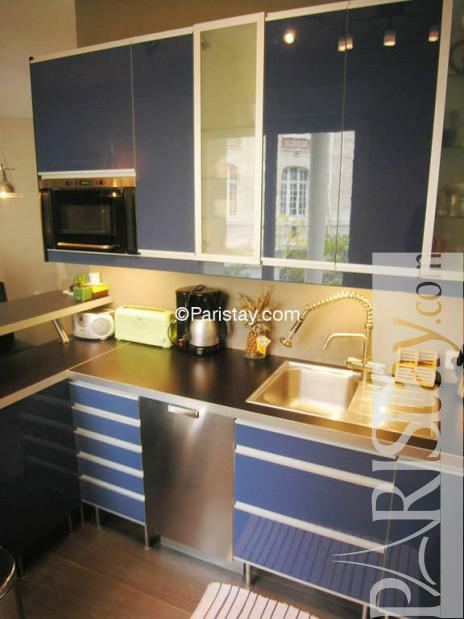 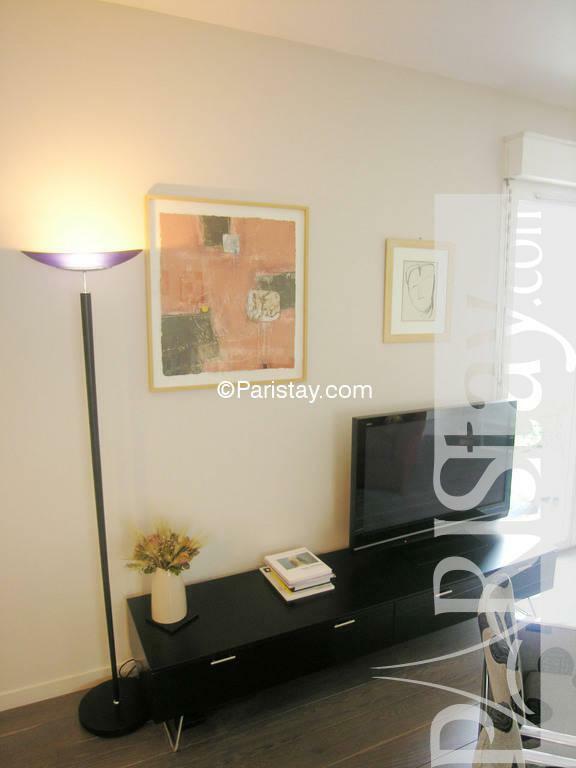 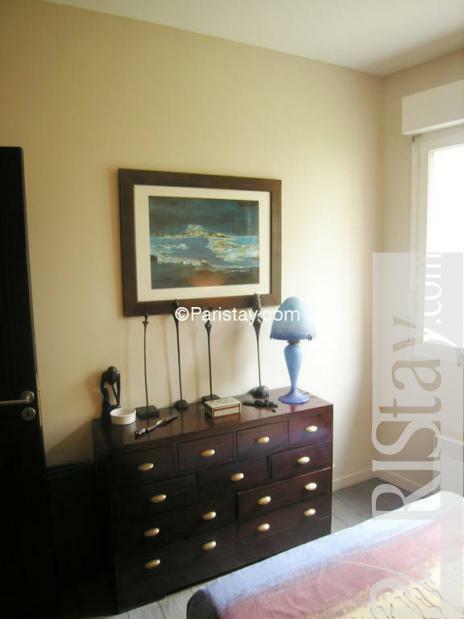 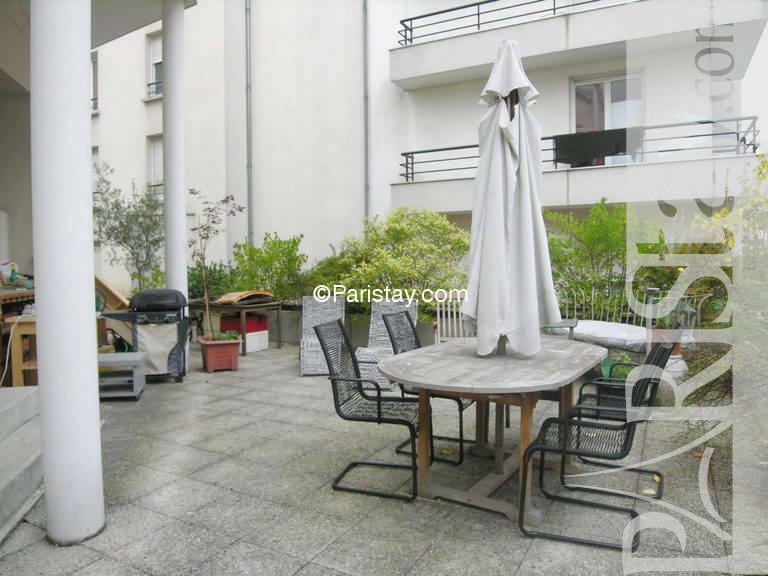 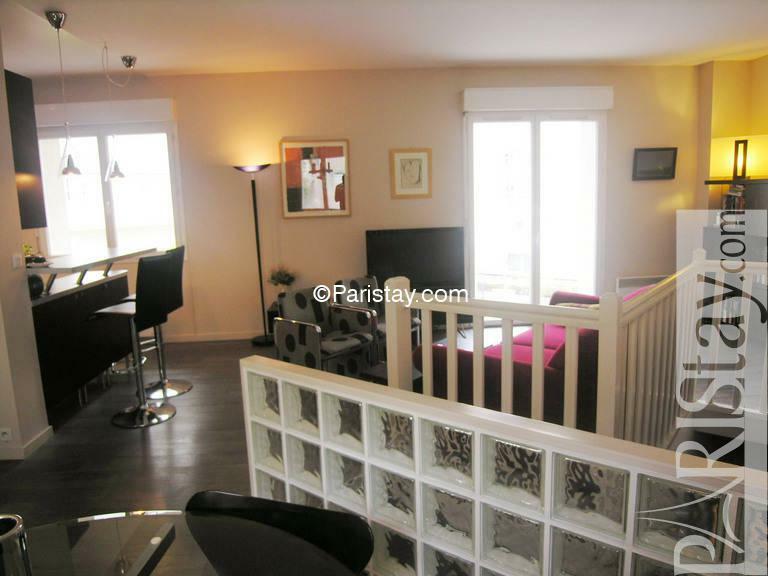 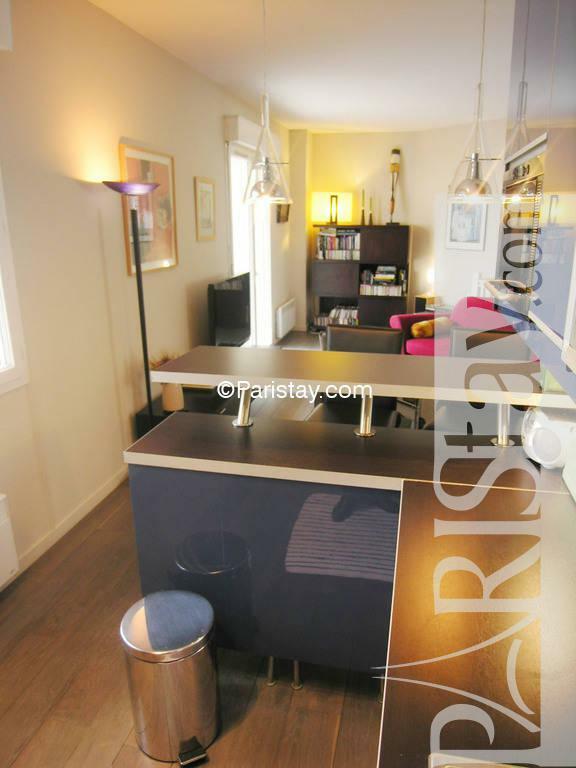 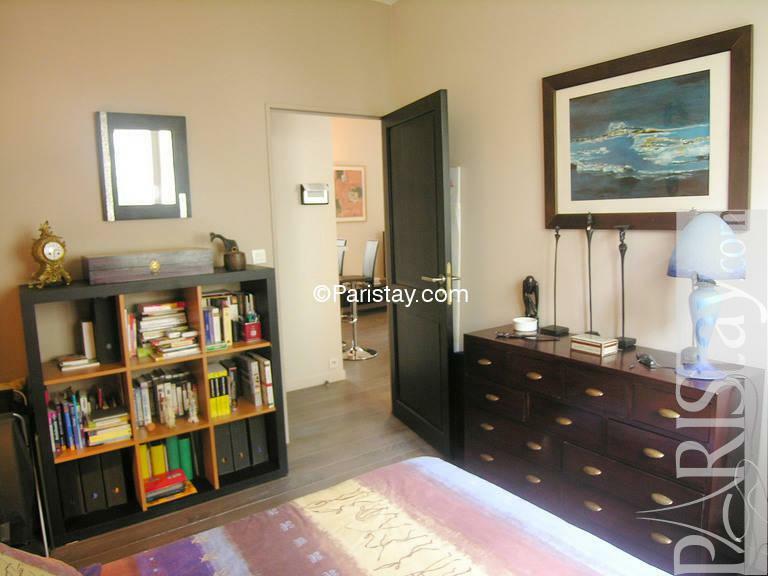 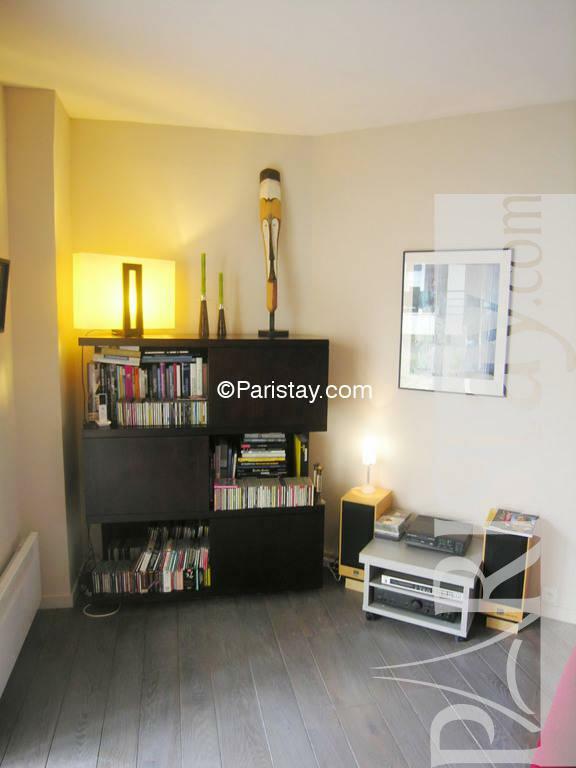 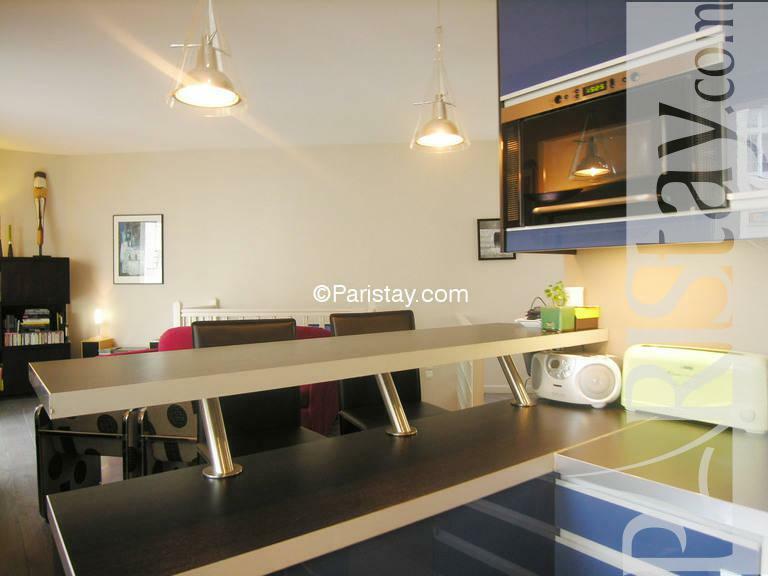 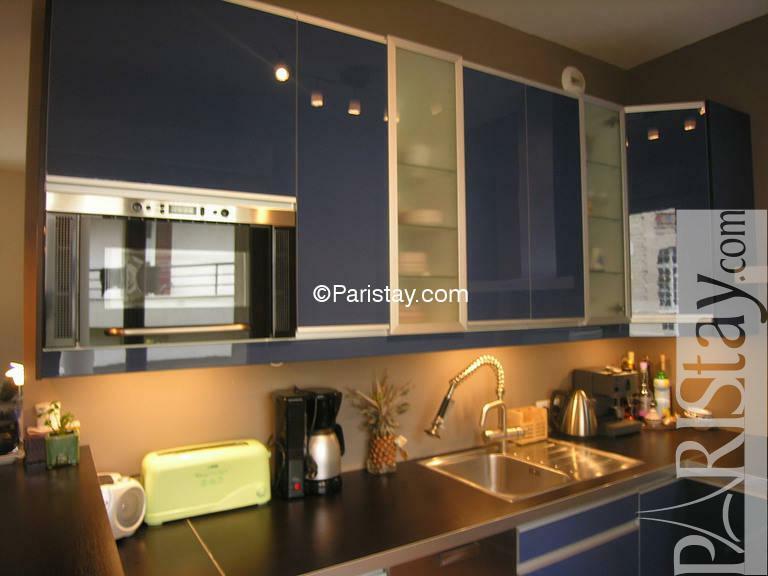 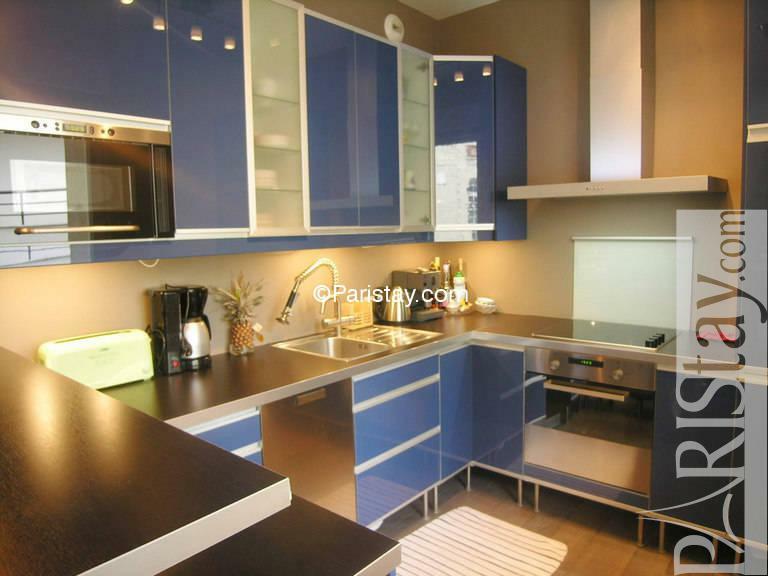 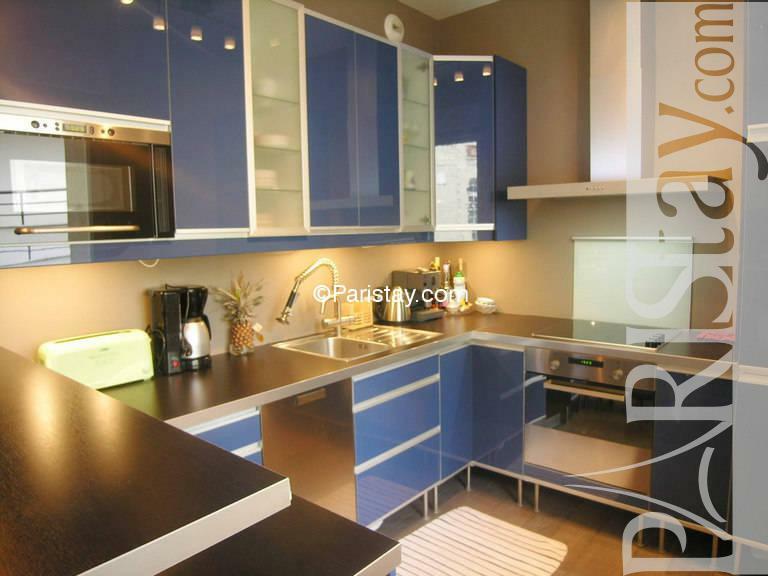 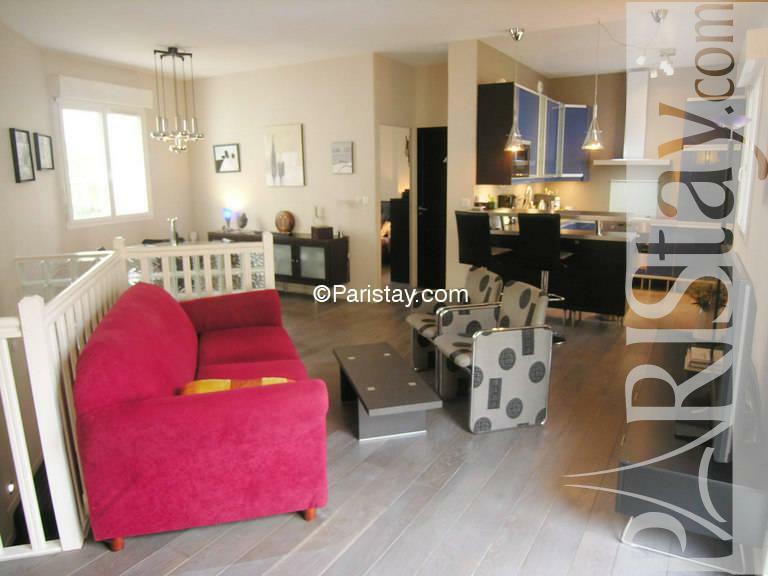 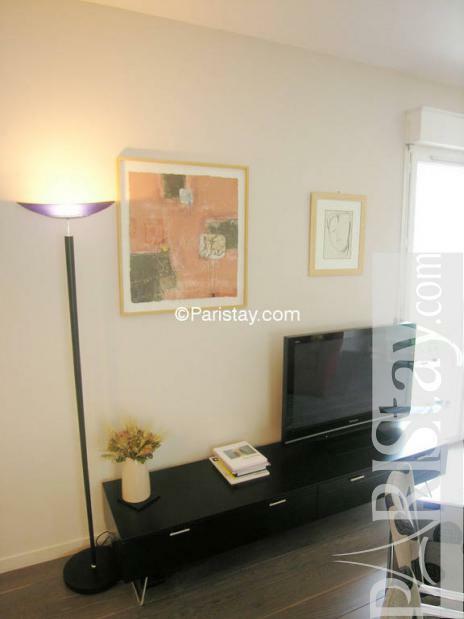 This Paris one bedroom apartment in the 11th arrondissement is very well equipped with Plasma TV, wireless Internet access and a separate kitchen. 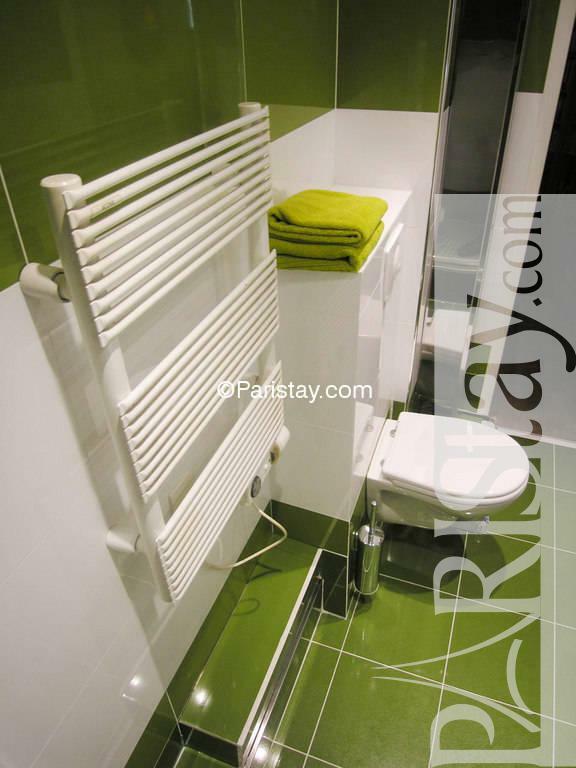 Guest bathroom located on the main floor. 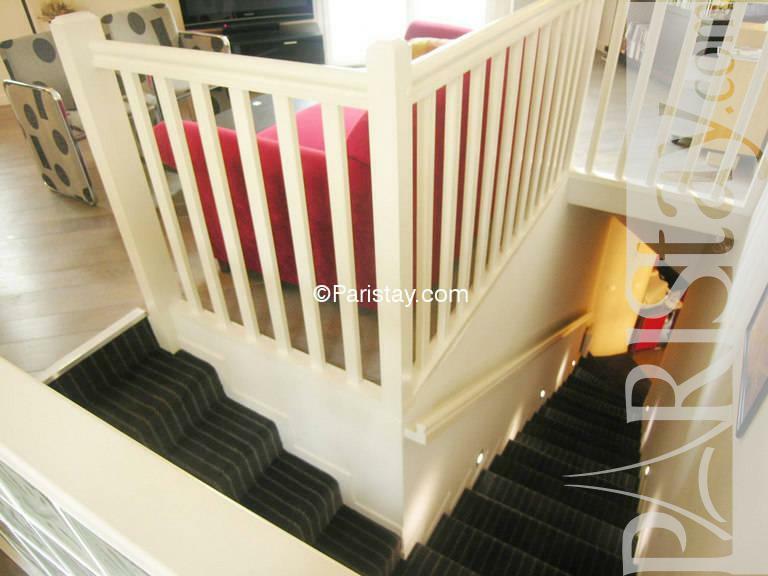 This is a two-story. 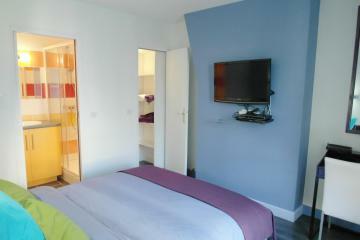 On the second floor, you'll find the sleeping area with a separate bathroom. Amazing private deck. 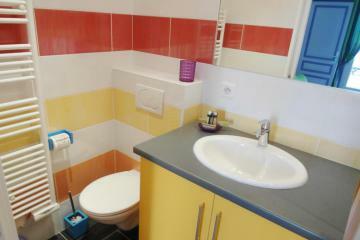 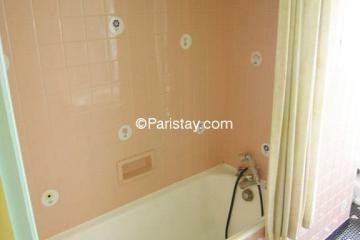 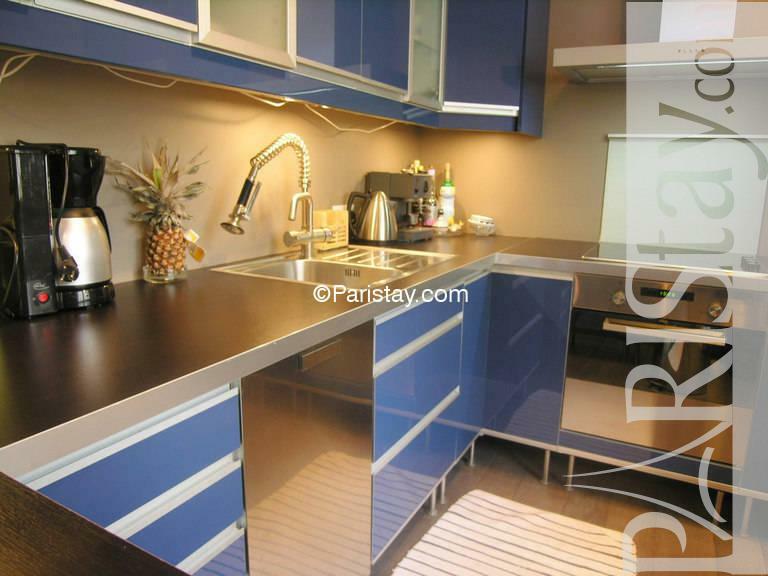 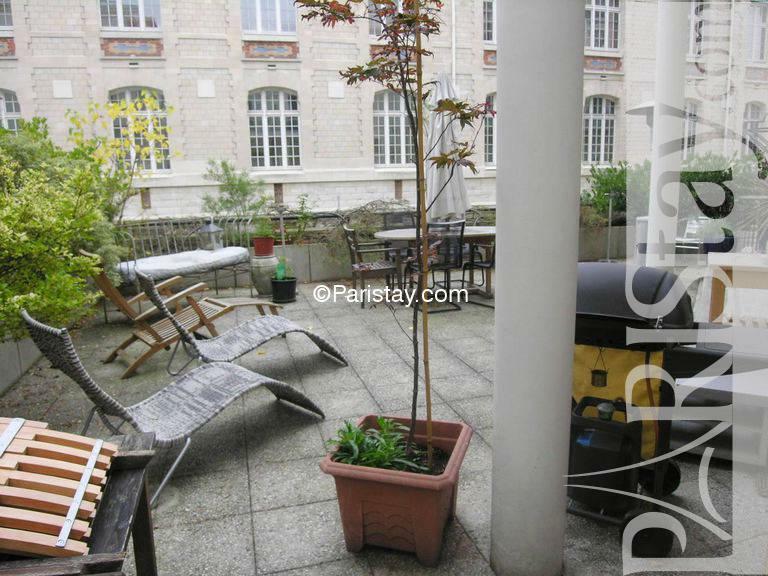 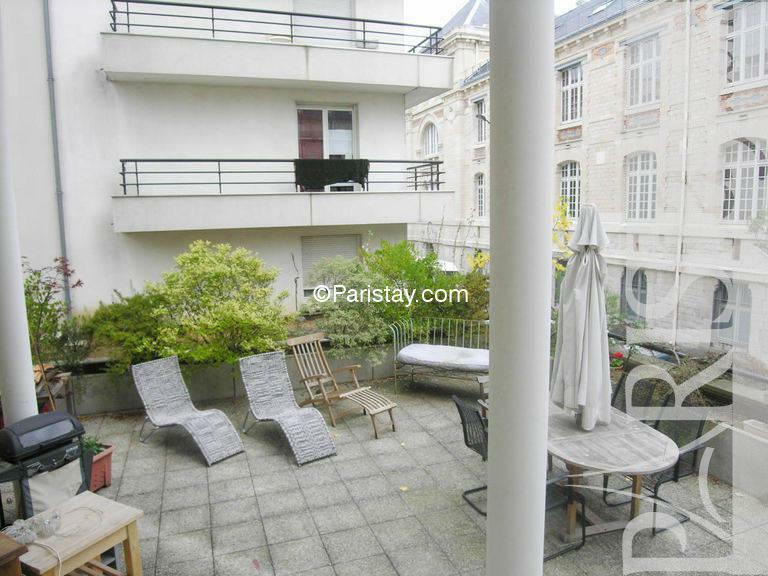 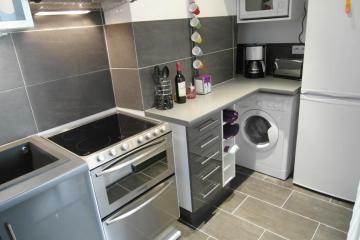 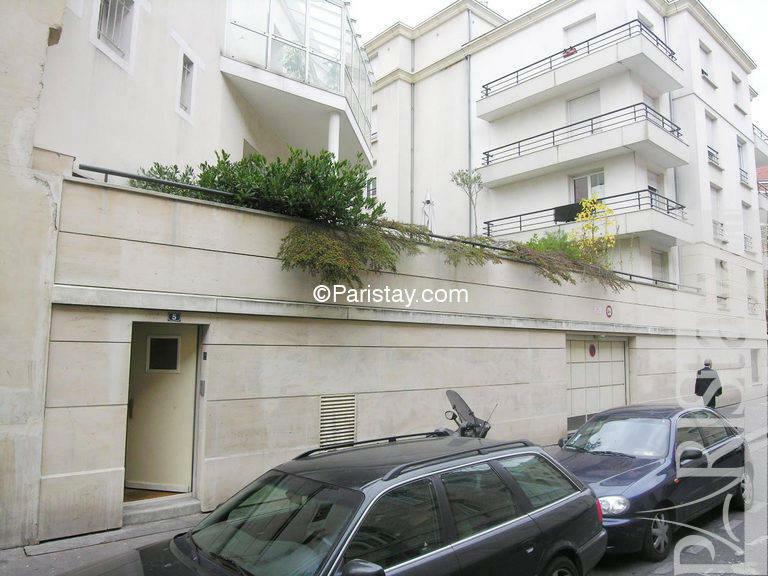 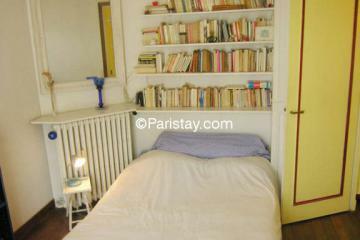 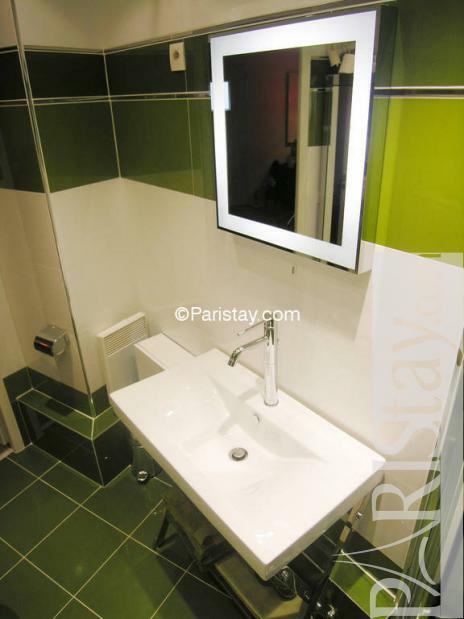 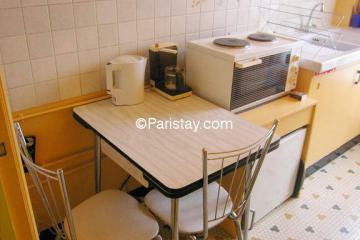 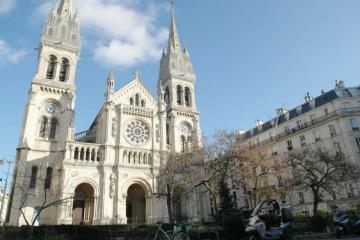 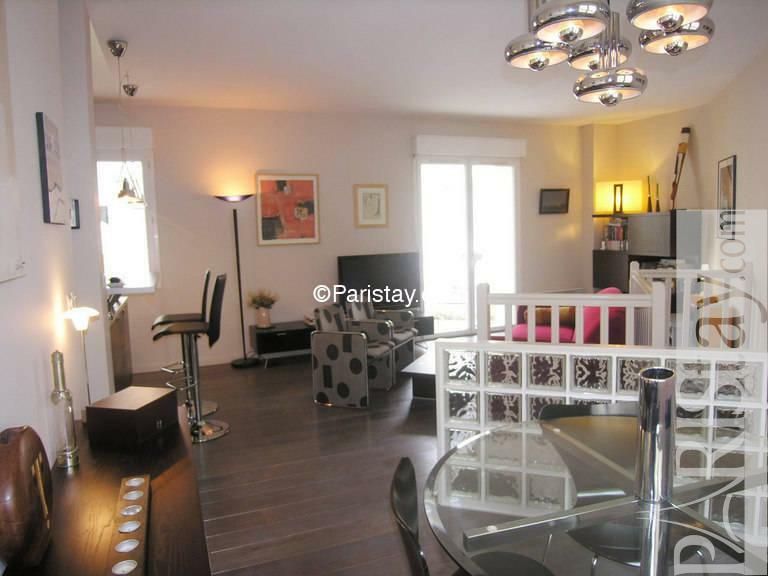 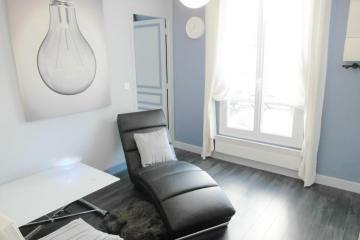 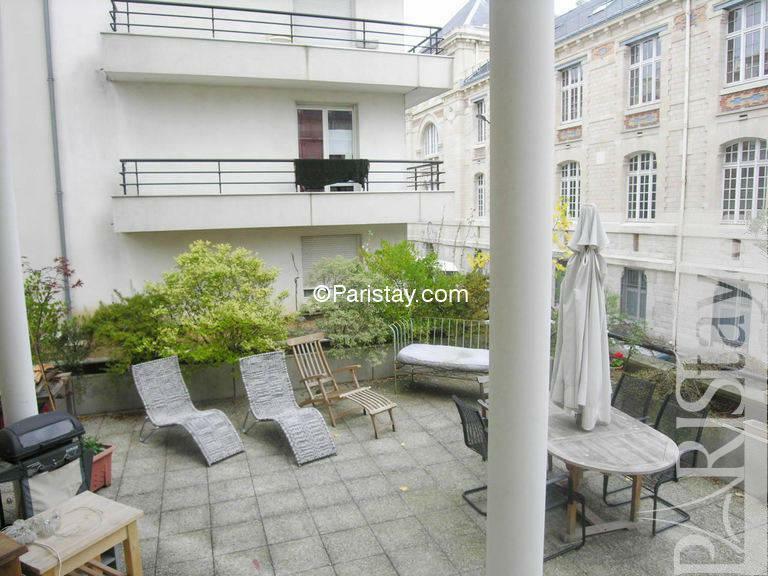 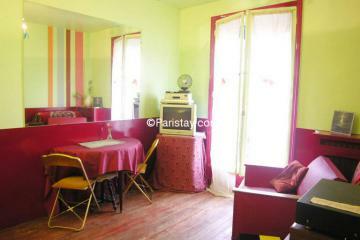 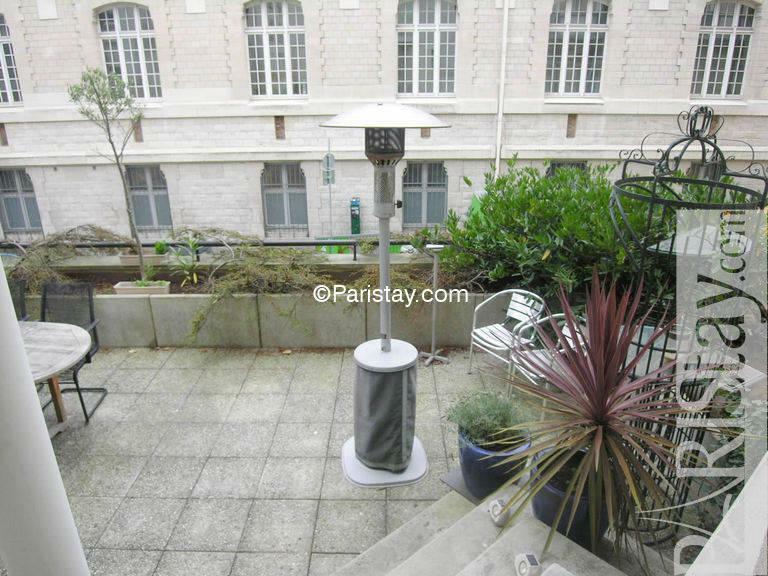 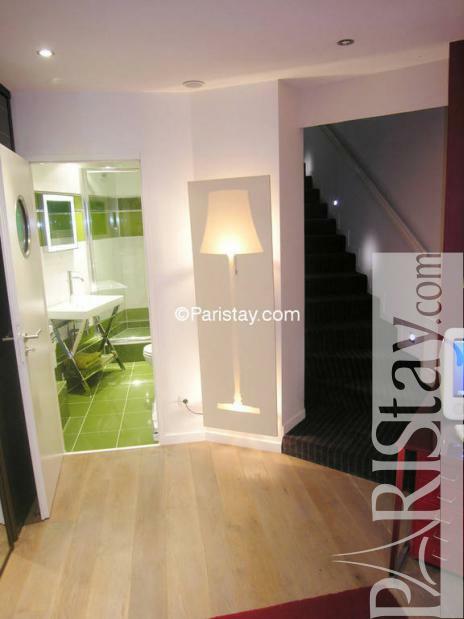 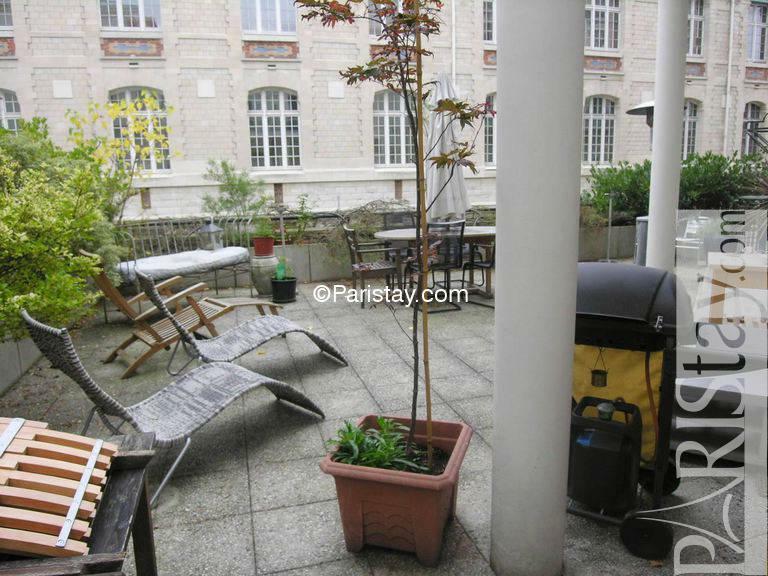 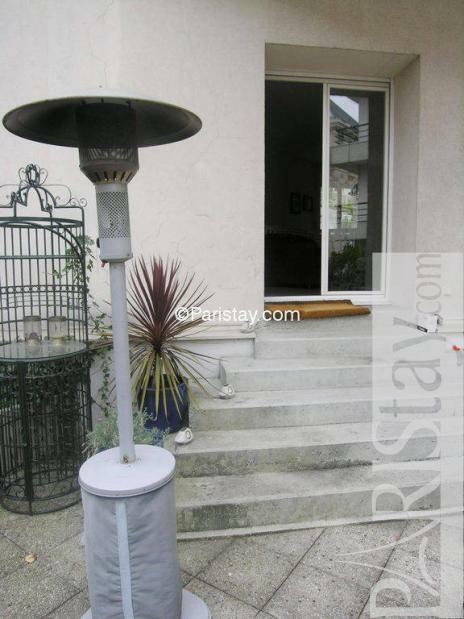 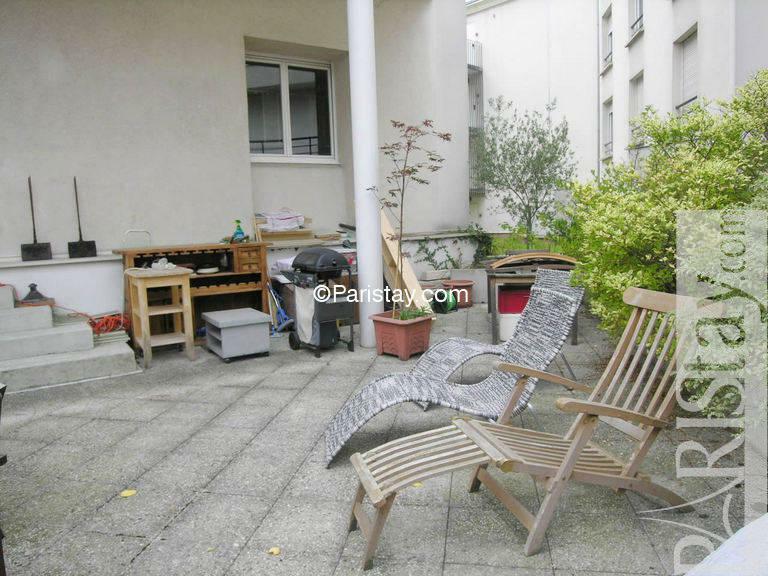 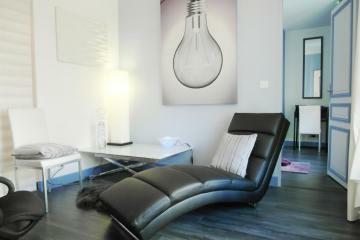 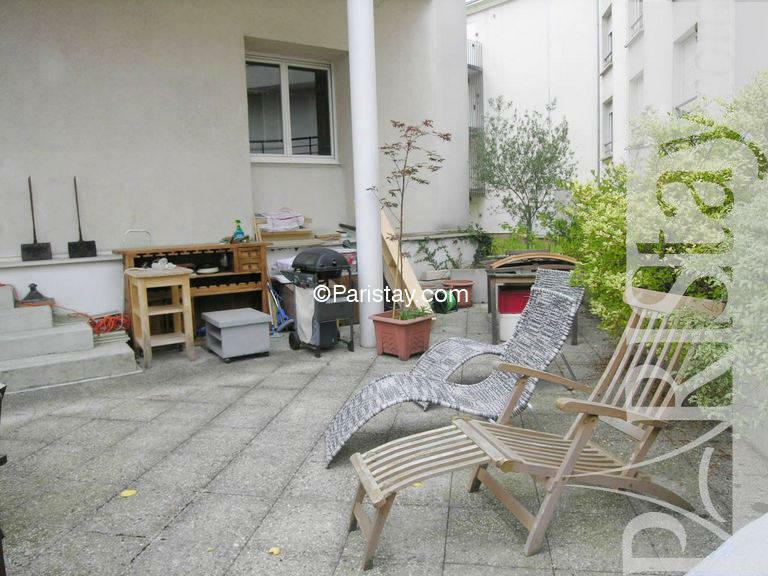 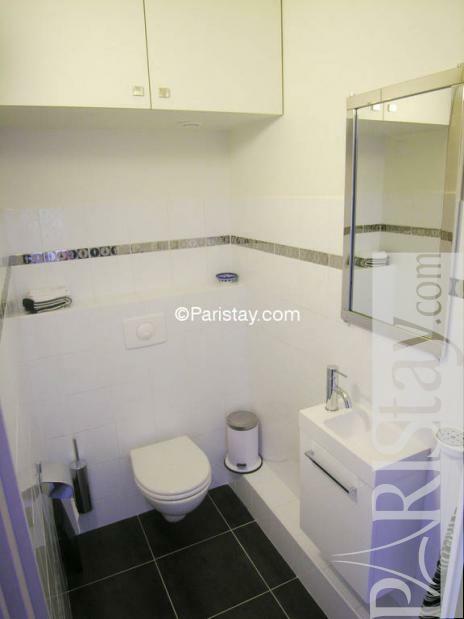 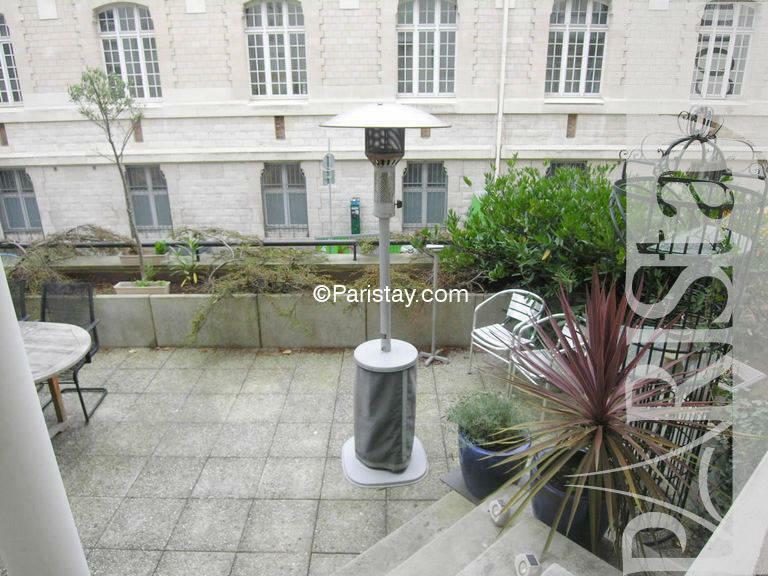 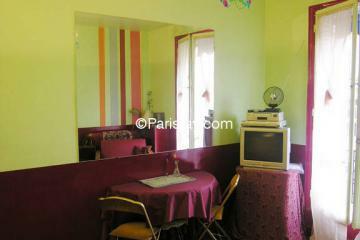 Ideal for short or long term rentals Paris. 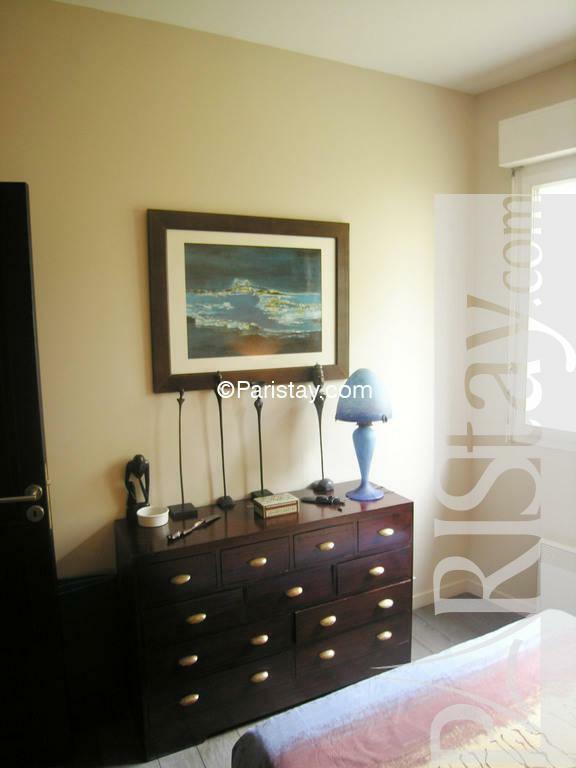 2000's Building, ground floor, without Lift, entry code security system, with intercom, 1 bedroom Duplex, furnished, Approx: 64m² / 688 Sq.Ft. 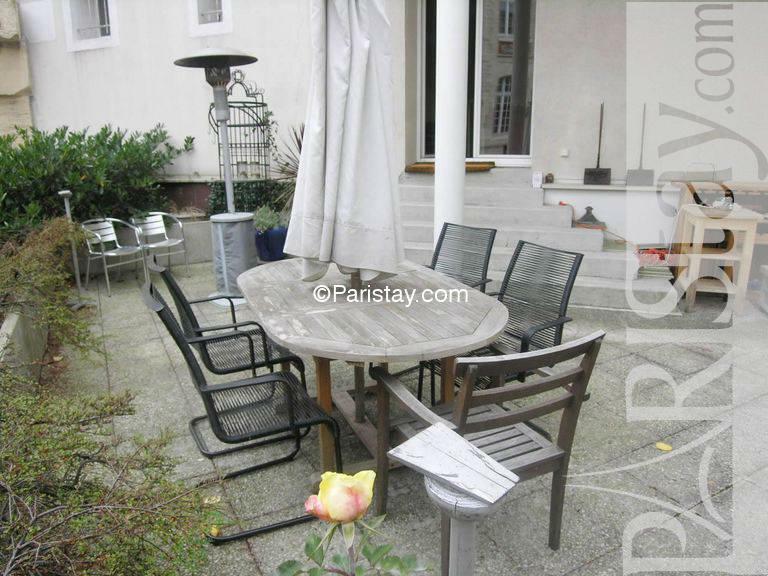 Museum and monument : Cemetery of Père Lachaise.